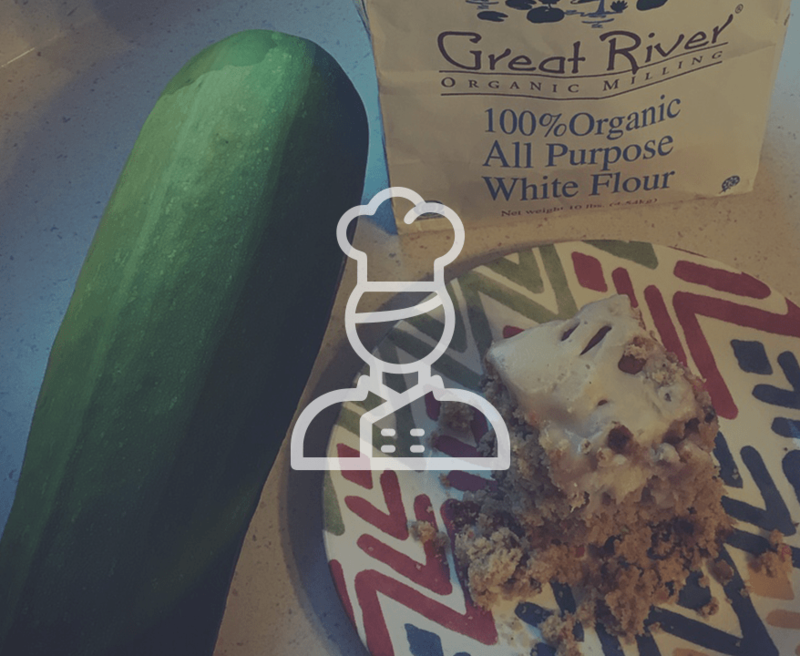 When you have a garden abundance of zucchini why not bake and freeze zucchini bread to enjoy all year long! Position rack in the center of the oven and preheat to 325. Butter a 9x5x3 inch loaf pan, or coat with cooking spray. Dust with flour, tapping out excess. Melt the butter in a small saucepan over low heat. Set aside. In a medium bowl, whisk together the whole wheat flour, whole wheat pastry flour, baking powder, and salt. In a large bowl, beat the eggs using a hand mixer at low speed until blended. Increase the speed to medium, gradually adding the olive oil and the brown sugar, and beating until the mixture becomes thick and foamy, 1 to 2 minutes. Beat in the melted butter, nutmeg, cinnamon, and vanilla extract until well blended. Decrease the speed to low, add the zucchini and then slowly add the flour mixture until just blended. Do not over mix. Fold in 1 cup of the walnuts using a rubber spatula. Scrape the batter in the loaf pan, leveling the top with the spatula. Bake until the bread has risen and is light golden brown, and a cake tester or toothpick inserted into the center comes out clean, 55 to 65 minutes. Transfer the pan to a wire rack to cool for about 10 minutes. Loosen around the edges with a small sharp knife, and unmold the bread, transfer to a wire rack, right side up, to cool completely, or enjoy warm.